1. 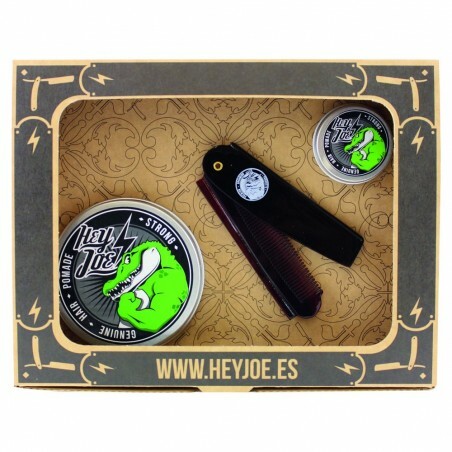 Hey Jose Genuine Strong Pomade 100ml. Base on ancient recipes and knowledge from local barbershops Hej Joe pomade is created. Formulated with pure and natural ingredients, this water soluble green pomade and its creamy consistency facilities styling, strongly holding of your hair and flexible enough to give the desire shape. 2. 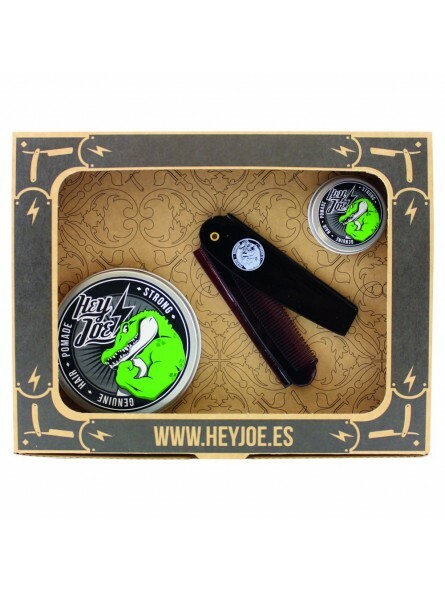 Hey Jose Genuine Strong Pomade 15ml pocket size. Ideal to take with you everywhere. 3. Hey Joe Delux Comb. Each comb is handmade and made with the finest cellulose acetates in the market. After a long process of craftsmanship in cutting, polishing, grind and top hand, some combs of the highest quality conscious hair without biting, hair snagging or breaks, achieving prevent damage are created.